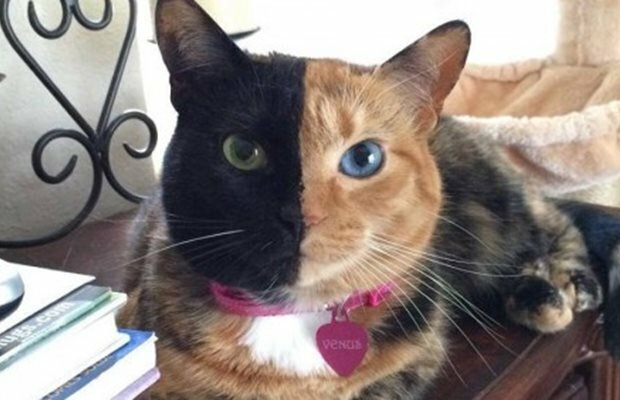 Venus has more than 700 000 likes and counting on Facebook and if you look here you'll see why. 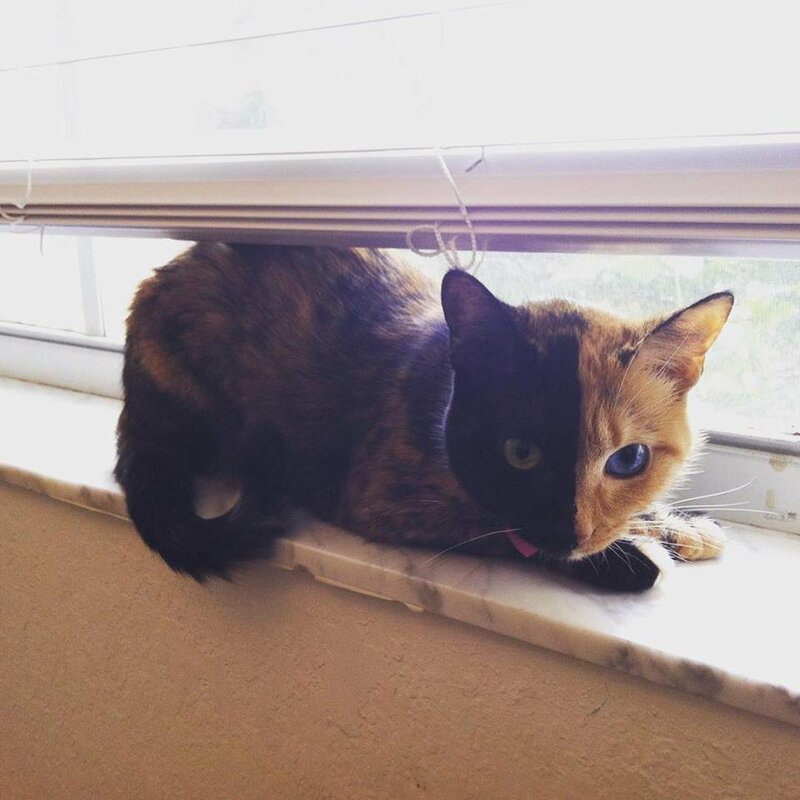 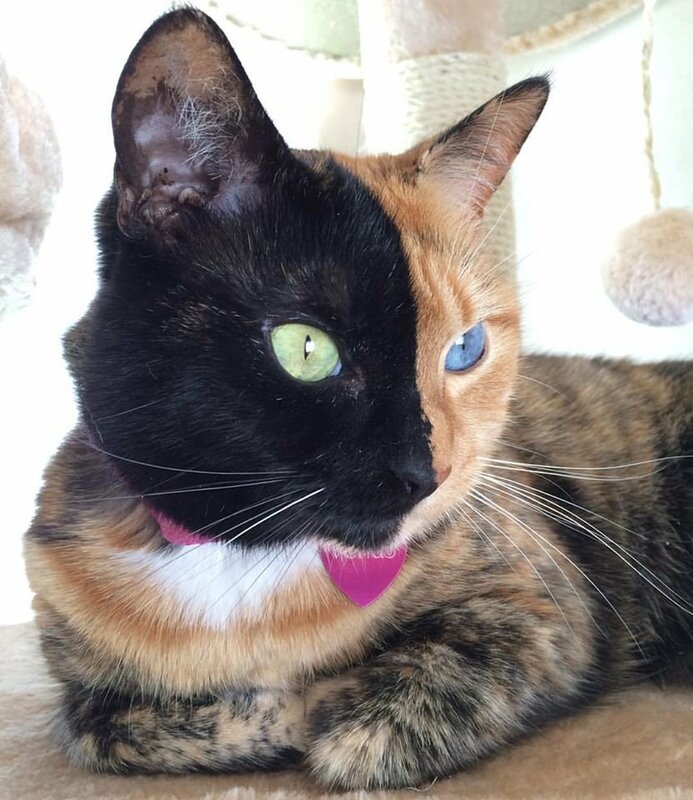 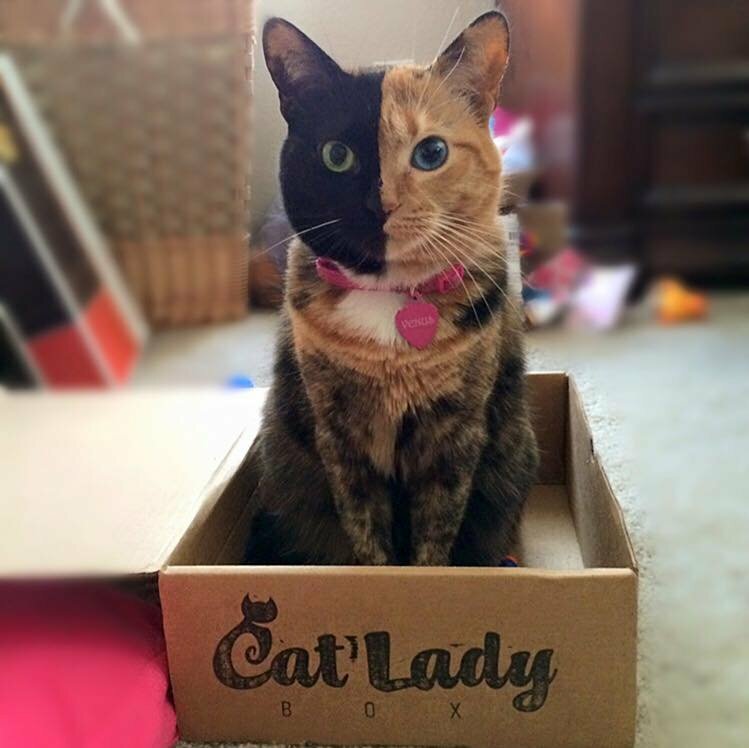 The two face cat has been turning heads with its mysterious beauty and contrast colours in her face. 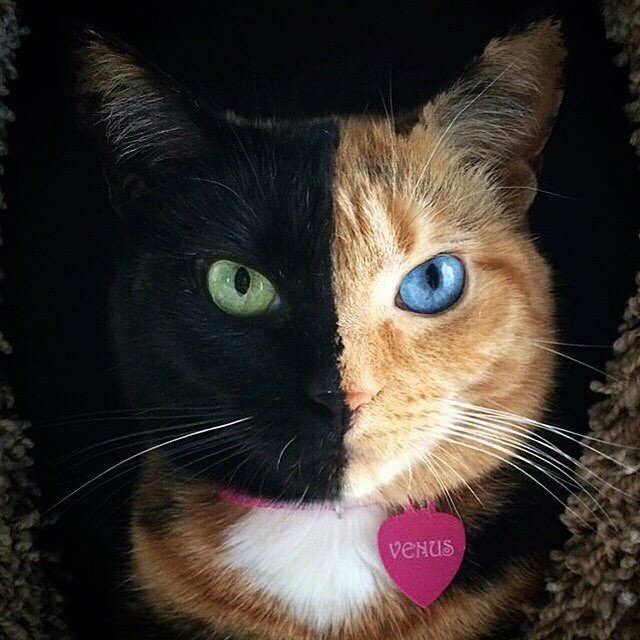 Venus was found as a stray cat on a dairy farm in North Carolina but is now part of a very happy and healthy family which includes her two feline friends.